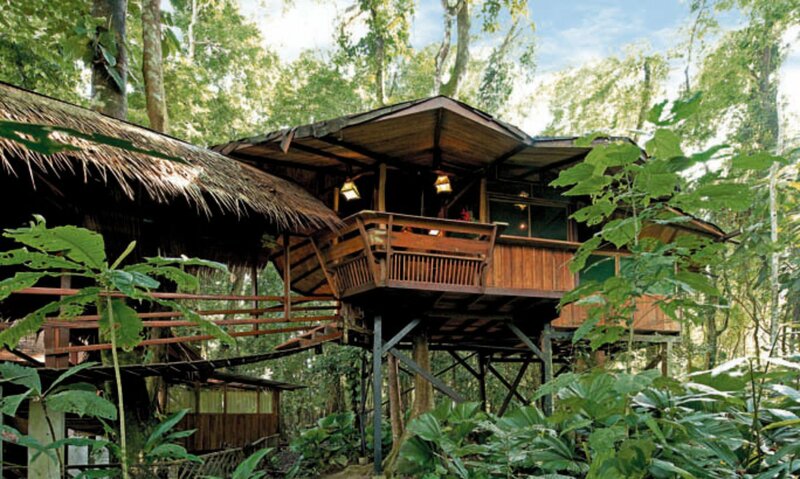 The nature and jungle around the Tree House are very attractive, great for hiking in Primary and Secondary forest. The Cahuita National Park has 1.067,9 hectares of continental area, 600 hectares of coral reefs and 22.400 hectares of marine area. It protects one of the most important reefs of the country and the most developed reef of the Caribbean coast. Within the Park, there are also important sections of wetland and swamps, mostly dominated by the “Yolillo” palm and the “sangrillo” tree. The golden-sand beaches that border the coastal area of the Park are extraordinarily beautiful. Cahuita’s first settlers were fishermen from the Caribbean islands. They owned the land of what today is the National Park. The Gandoca- Manzanillo Wildlife Refuge ( REGAMA) is located at the south-eastern tip of the Caribbean slope. It is surrounded by the sixaola River at the Panamanian border to the east, a row of mountains from the Talamanca range to the south and bathed on the north side by the white sand beaches and rich coral reefs of the Caribbean Sea. The Gandoca Manzanillo Wild Life Refuge is the ideal place for people who love nature and lonely beaches. Local guides in Manzanillo, can take you on their hikes trough the rain forest and explain you about medicinal plants and wildlife. The Tree House Lodge highly recommends to take a tour with one of these nature guides to explore and learn about the rainforest.